The above topic is proving to be an issue of high focus both in the press and in a variety of business seminars. The potential impact of VAT in The Bahamas rightly causes the high profile that it has been receiving. I have resisted writing before now as certain members of the public seem to regard any logical criticism as “government bashing”. This is a dangerous trend which seems to be emanating out of the United States – a nation we seem to fall over backwards to copy as opposed to developing our own uniqueness. Why has Government even decided to consider introducing VAT? It seems that certain external bodies know what is best for The Bahamas more so than its elected Government – i.e. the IMF, the OECD, the World Bank and the IDB etc. I find the wholesale acceptance of input from such external parties somewhat troubling especially as The Bahamas likes to proudly boast that it is an Independent Nation of over 40 years. In such a context I am not sure what independence means? If we are an independent nation then why are we being told what to do by outside parties? It is akin to a young adult still being under the control of his/her parents as opposed to developing his/her own identity. So why is VAT being considered by The Bahamas? The white paper, that was published at the outset, clearly states in the Introduction that the Government acknowledges “that significant revenue leakage continues to occur and the enforcement results are consistently poor”. In a peculiar way it is good that the Government acknowledges one of its many faults but under such known circumstances why does it even consider introducing another tax? The current tax net already has several acknowledged “holes” and thus it does not seem to be rational to introduce another “hole” Would a fisherman, who uses a net with holes, improve his catch by trawling with a net that had even more holes as opposed to repairing the current holes? I don’t think so. There are arguments that The Bahamas needs to broaden its tax base. This is an area that I am not going to challenge at this time other than ask is VAT the way to achieve such a goal? It has been argued that Customs Tariffs are iniquitous because they have to be borne by all people – those of low income and those of high income. Is VAT any different? As with Customs Duties both those of low income and high income will have to pay the same tax for the same service/goods. In the Bahamas it is claimed that many small businesses will be exempt from VAT due to the income threshold that has been established. There are two problems with this position – (i) how is low income going to be verified or is it just a verbal disclosure ( among friends!) without any independent third-party validation and (ii) the White Paper states that “exemptions to be as few as possible as they are incompatible with the logic of VAT. The foregoing statements are contradictory and so one has to ask what does this really mean? Has The Bahamas looked at the reality of countries that already have VAT in place – mainly in Europe. In these countries VAT has factually proven to be a driver of an underground economy by people acquiring goods and services for cash – i.e. no traceable bookkeeping entries and therefore no VAT either levied or collected. In these cases both the buyer and the seller are very happy with such an arrangement. This could easily happen in The Bahamas where it is not a legal requirement to keep books of account or undergo an external audit. Accordingly the Government is trawling for more tax dollars with a large hole in its net. Another significant issue relating to VAT is its implementation, oversight, collection and the handling of rebates for previous VAT amounts paid. Quite simply The Bahamas does not have sufficient staff with the required skill sets to implement and monitor VAT. It might be seen as a “plus” for the Government to create more jobs for their voters but the cost of such a staff will take a large bite out of the VAT collected – that is if they are successful at their job. From past and present experience the hired staff are likely to be no more than “box-tickers”. More confusing is the fact that the Government usually tries to curry favour with the voting public in order to ensure re-election. 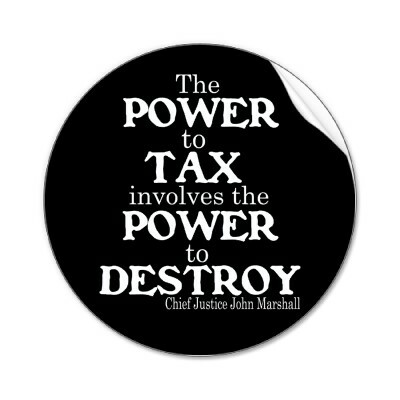 The introduction of VAT will not bring such a benefit in fact it is far more likely to create a strong backlash amongst the voting populace as they will have much less spending power. With the introduction of VAT this will become obvious and will provide significant fodder to the Opposition. Furthermore, has the Government not learned from the experiences of other island nations to the south of the impact of the local introduction of VAT? Turks & Caicos, a country that recently decided against the introduction of a VAT, would be a recommended point of reference although their Government is not indebted to the same level as that of The Bahamas. More importantly and apart from the above issues raised, I personally believe that it would be suicidal to introduce VAT at a time where the economy is struggling with the worldwide recession or slow economic recovery. By example we have recently seen a substantial increase in unemployment which in my mind is a significant contributor to current crime levels. Thus the introduction of VAT will only exacerbate the problem. The timing could not be worse. If it is essential that the Government has to increase taxes, although I would like to see a conscientious drive to reduce expenses especially the flagrant and visible waste (e.g. the unnecessary large number of Government vehicles), why not consider alternative methods? I have heard suggestions of an income tax or even a sales tax (like our friends in the USA – what could be better?). Are these alternatives not considered because they are raised by our own citizens and not the IMF, OECD etc? We frequently and rightly boast about the talent in The Bahamas but when it comes to certain matters the Government seems to believe that foreign ideas are best. In conclusion the Government really needs to look at the far-reaching and longer term trends that will be brought about by the introduction of VAT. Unfortunately Governments do not like to look beyond short term – i.e. the next election. However in this instance it could have serious repercussions.